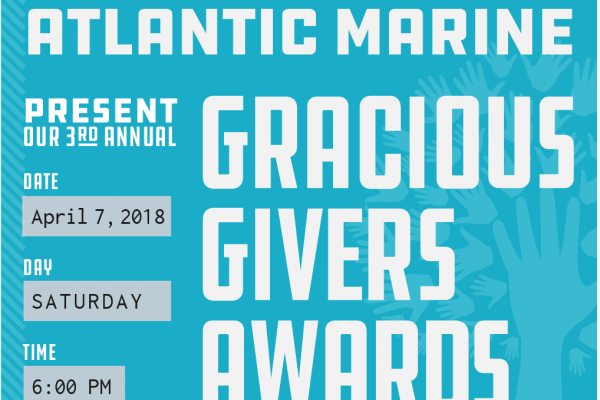 For the 4th year in a row the locals helping locals organization of Foundation 37 is hosting a Gracious Givers Award Banquet. What is a Gracious Giver you might ask? Its someone within our community that goes above and beyond, someone tat gives of their time talents and treasures to better the community and help those in need within our community. If you know someone like this, please nominate them for one of Foundation 37’s prestigious awards (Categories listed on the form) so they can be recognized for all they do! School Counselor in a PO, SD, or NSB: This is a counselor who goes above and beyond for their students and families. Teacher for outstanding volunteer services in PO, SD, or NSB: This is a teacher who volunteers for school activities and community events involving the school and their students on their own time. Outstanding work with children: This award should be bestowed upon someone who’s work with children is inspiring to others. Their passion, patience and love for children in our community shows through the work they do. This does not have to be a school employee. A Do Gooder: This award will be given to a child with a kind heart and giving spirit. Volunteer of the year: This award is our highest honor and should be bestowed upon someone who is involved with various community organizations and is always willing to lend a helping hand. He or she helps others with a passion for giving and a volunteer heart.